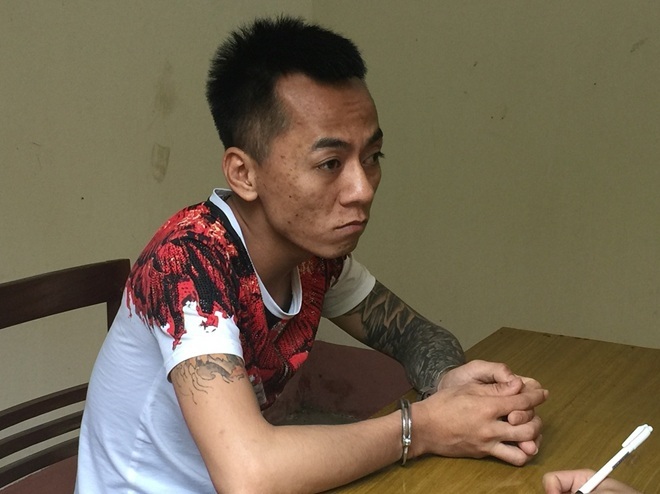 Home / vietnam / Save the two hostesses captured by the "boss"
Save the two hostesses captured by the "boss"
April 15, 2016, Cao Bang CSDT Police Department said it is investigating the case of Nguyen Duc Binh (SN 1990, living in Binh Thuan Municipality, Dai Tu District, Thai Nguyen Province) with arrests of illegal people. The incident took place on April 1, 2016 in De Tham Ward, Cao Bang City. The police station has explained and interrogated Nguyen Duc Binh. Before that time, on April 15, 2014 at 3:30 pm, the police received a report from Mr. Hoang Van M. On April 22, 2016 Mr. M a taxi for two friends named A. and L. Go to the night. When you go to the slope of De Tham Ward, another taxi is blocked. The people in this car went down to force A. and L. to get into the car to return to their room in the Tan Giang ward, and appointed a young man named Toan to look after him. Conducting a verification investigation, the CSDT team clarified: Nguyen Duc Binh is the organizer of bringing female employees to serve karaoke bars in Cao Bang City. A. and L. no longer want to work for Binh on 30-3-2019, so he asked Binh to go out. Two hostesses did not return on 31 March 2016, Binh called when A. and L. did not listen to the telephone. In the evening of April 1, Binh used a telephone to smear A. and L. as a guest to sing at the Gia Hung karaoke restaurant in De Tham Ward, Cao Bang City. When A. and L. arrived, Chung, Viet, and Toan groups chased them and brought them to the rental room at Group 16, Tan Giang Ward. The subjects Hoang Van Toan, Nguyen Van Viet and Duong Van Chung at Cao Bang Police Police Investigation Agency. When he arrived in Chung's room, he hit the face of A and L. one by one. Both days 2-4, Binh and Toan don't let them go anywhere in the security room. About 5 p.m. on the same day, Cao Bang City police rescued two girls and brought the subjects to headquarters to clarify. Cao Bang Police Department investigating police made a decision to prosecute the case and accused prosecution of Nguyen Duc Binh, Duong Van Chung, Nguyen Van Vu (cohabiting in Pho Yen district, Thai Nguyen province), Hoang Van Toan (temporarily living in group 16 , Tan Giang ward, Cao Bang city).